In the Texas Hill Country one man's idea is turning trash into treasure. The concept might even pave the way toward affordable homeownership even in today's financially turbulent time. Gardner owns Dirtco Construction, an Austin-based company with a conscious. A builder, rancher and environmentalist, Gardner has created a model for sustainable living that reuses perfectly good building materials harvested from rickety old buildings. The environmentalist in Gardner had thought long and hard about what a drain it is in natural resources to produce new building materials, everything from lumber to steel to glass windows. Meanwhile, his business side was looking for a way to keep construction costs low. Gardner was between projects in 2007 and assembling a portable building from reclaimed building materials when he was struck by inspiration. Why not build portable living spaces using reclaimed material from homes and other structures that were no longer habitable? Thus was born the Reclaimed Space concept. It helped that Gardner lives in a state where there is a good supply of older buildings in disrepair, many built by homesteaders and early settlers. Gardner's business partner is Daniel Goetz, a hands-on manager who spoke to me from Lockhart, Texas, 30 miles from Austin, while in the middle of tearing apart a house built in the 1860s. "It makes sense," Goetz said. "There are a lot of homes here that are structurally condemned. We get paid to de-construct homes and barns because they become dangerous to the community." Gardner and Goetz partnered with Kimber Reed-Barber, who specializes in landscape and interior design, to build portable homes of corrugated steel, recycled fixtures and wonderful old-growth timbers. Their floor plans start at 240 square feet and $25,000. Prices range between $115 per square foot to $160 per square foot. Compare that to the average cost in California of $250 per square foot to $350 to build a new home and the Reclaimed Space concept starts to sound like a good deal. Delivery of the completed buildings is extra. A visit to the website at www.reclaimedspace.com shows a truck pulling a building down the road. While the devotees of pre-fabricated building are growing in number, the Texans are the first that I have found who are incorporating passive solar and the efficiency of using reclaimed building materials. The cool designs that the Reclaimed Space team generates use up to 75 percent reclaimed materials and pair those with new framing, roof, electrical, and plumbing. Like other models that are based on affordability, the designs can be configured modularly and added to as one's resources increase. This is the same concept that inspired architect Marianne Cusato from New York, when she developed Katrina Cottages after New Orleans was devastated by Hurricane Katrina in 2005. Cusato's storm models ranged between 544 square feet and 936 square feet. Models available to the general public range between 300 and 1,800 square feet. There are signs that today's young people have become disenchanted with the "McMansion." What's more, our current economic crisis will make it necessary for people think in terms of smaller spaces. Given that, we must praise and reward young entrepreneurs who work out new affordable models. 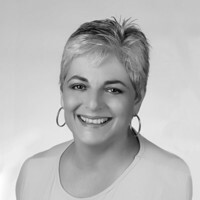 Christine Brun, ASID, is a San Diego-based interior designer and the author of "Big Ideas for Small Spaces." Send questions and comments to her by e-mail at [email protected] To find out more about Christine Brun and read features by other Creators Syndicate writers and cartoonists, visit the Creators Syndicate website at www.creators.com.